Set to be one of the undisputed stars of Frieze Masters this year, René Magritte's original version of L’Empire des lumières, 1949, will be seen for the first time after spending the last 35 years in a private collection. The piece is an important part of surrealism. 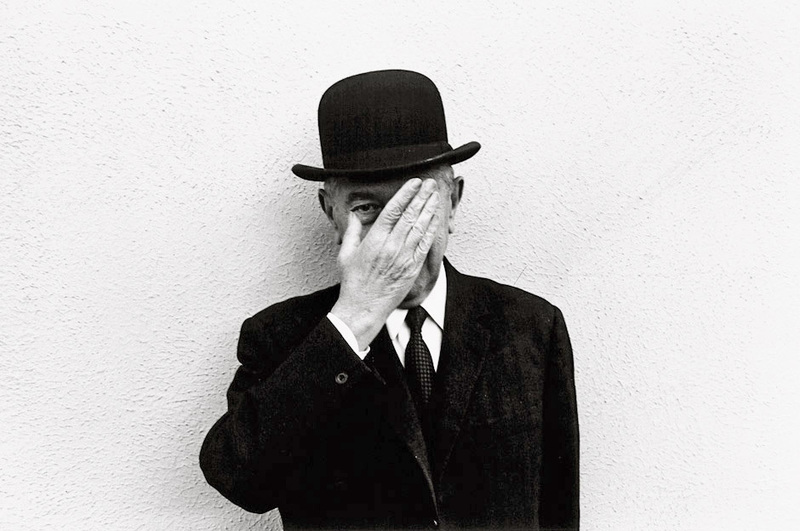 Magritte's oeuvre, and especially his L’Empire des lumières series, has exerted a lasting influence on the work of other artists and on pop culture. 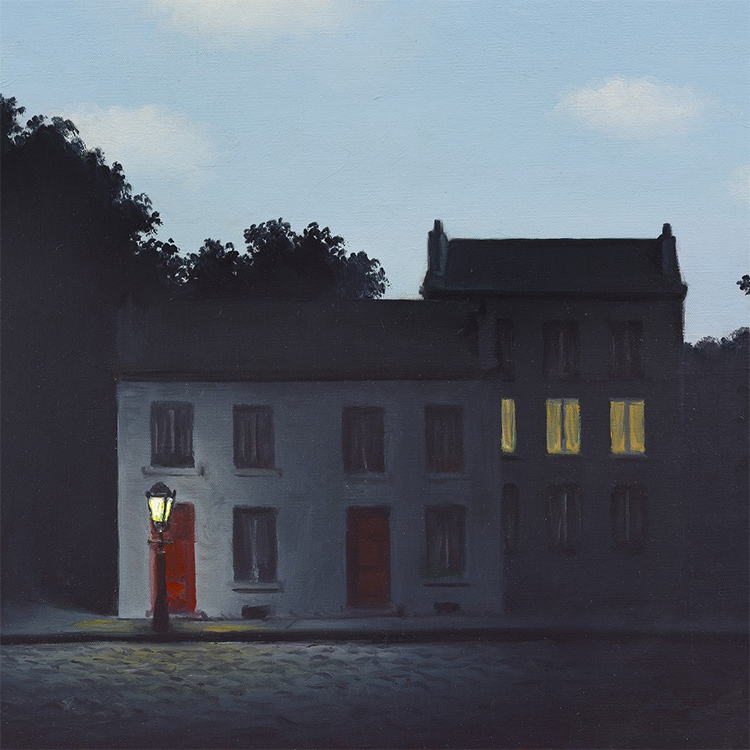 No other image by Magritte sold as well during the artist’s lifetime. The work is not only an incredible work by Magritte or of Surrealism, it is one of the greatest and most instantly identifiable icons of 20th Century Modern Art. L’Empire des lumières depicts a dimly lit nocturnal street scene, illuminated by the eerie glow of a single street lamp, under a sunlit cerulean sky populated with white clouds. 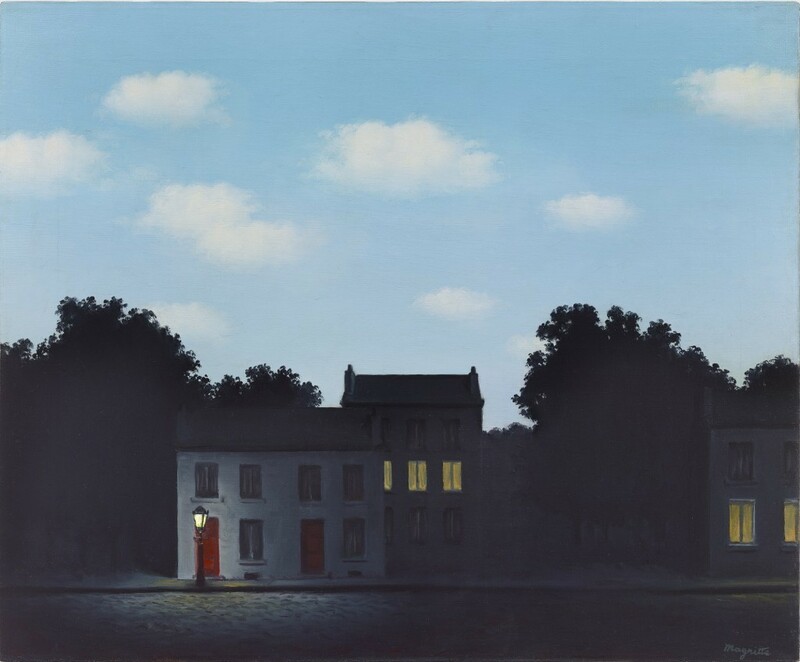 The impossibility of this juxtaposition of night and day disrupts our expectations, and the surreal view proved immediately popular: its early history is well documented in contemporary correspondence between Magritte, Iolas and Rockefeller, now preserved in the Rockefeller family archives. This 1949 version of L’Empire des lumières is the very first painting from the artist's most iconic and instantly recognisable series. Between 1950 and 1964, Magritte painted a further sixteen oil versions of L’Empire des lumières, in a variety of sizes and formats and with various compositional differences, in order to satisfy market demands. Sometimes demand was so great that the artist was required to create three to four versions a year. The second work in the series, dated 1950 and numbered 'II', was purchased by John and Dominique de Menil (financiers of the Hugo Gallery) for the Museum of Modern Art, and further examples can be found in private collections and museums around the world. The concept for the painting came out of the newly formed transatlantic partnership with his dealer, Alexander Iolas, the charismatic director of the Hugo Gallery in New York and was created with the deliberate intention of attracting American buyers by producing the strongest and best quality paintings for the American market. In September 1949 Magritte sent this work from Paris to New York and six months later it was purchased by the great American collector Nelson A. Rockefeller. It was given by Rockefeller as a Christmas present to his secretary, Louise Boyer, and passed subsequently to her son in 1974. More recently, L’Empire des lumières has remained in a private collection for the past thirty-five years. René Magritte’s L’Empire des lumières, 1949, will be exhibited by Dickinson's as the main highlight of their Surrealism-themed stand (D2) at Frieze Masters 2016 - Surrealist Revolution. The fair will take place from 5th-9th October, and Dickinson will present a selling exhibition of Surrealist paintings, drawings and sculptures, influenced by the theories of Breton and his friends in the 12 volume publication La Revolution Surréaliste. For more information on Frieze Masters, 2016, see here.